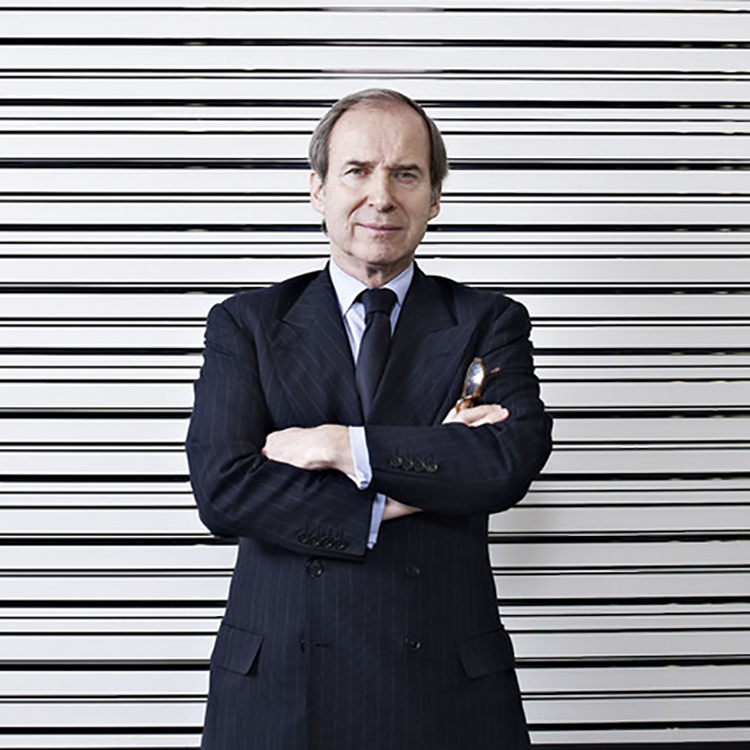 Simon de Pury : "I believe in art market transparency"
The online platform de Pury (http://de-pury.com/) – founded by Arnaud Massenet (Net-a-Porter co-founder), Simon and Michaela de Pury – has recently teamed up with Christie's for the Lambert Art Collection (LAC) sale. Consisting of 306 items in eight different categories, this collection was put together by the banker Philippe Lambert and his wife. It went on sale on October 14 in London. The sale achieved a good result of 14.9 million pounds, with only 11% of lots unsold. 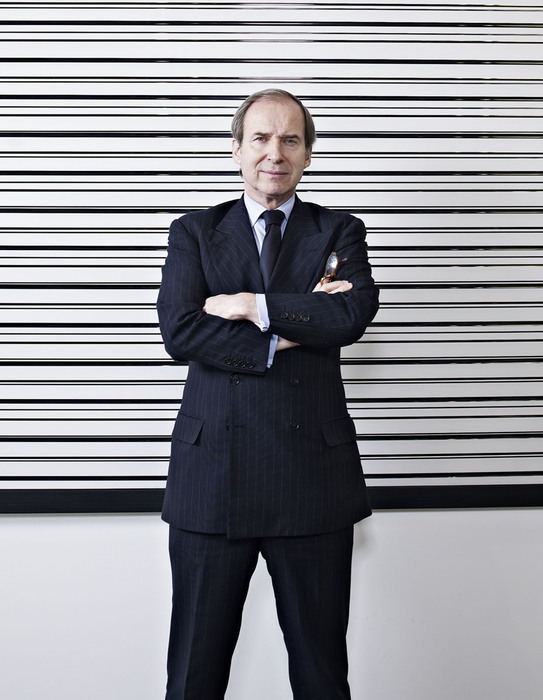 This was the first sale run by Simon de Pury since he left Phillips in 2012. In November 2004, Simon de Pury conducted at Phillips de Pury an auction of photographs from the Lambert Collection (Veronica's Revenge), which reached a total of $ 12.5 million: a world record for a photography auction. 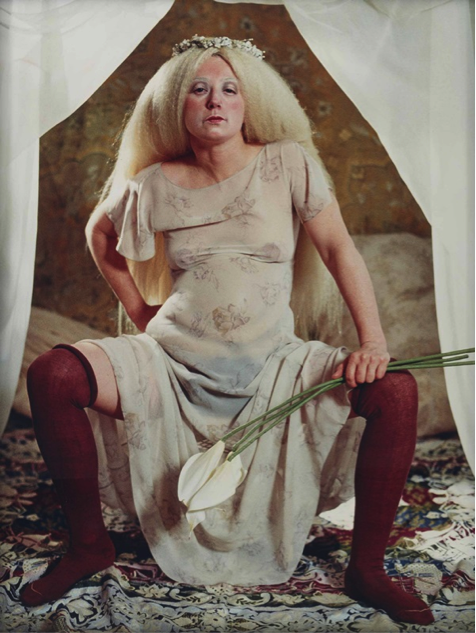 This self-portrait by Cindy Sherman Untitled, (# 276) (1993), sold for £ 212 500 and was among the successes of the October 2015 sale. 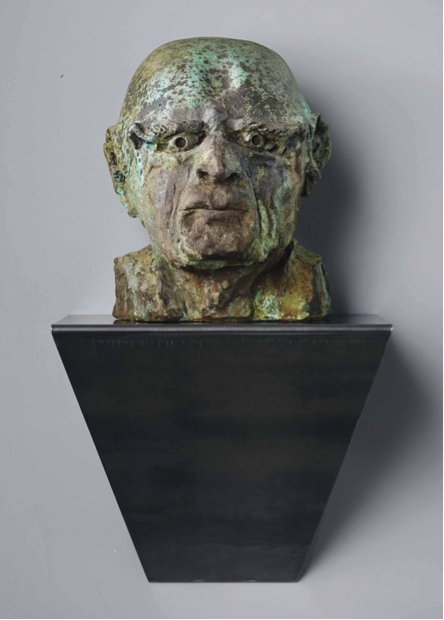 Thomas Schütte fired up the crowds, quadrupling the low estimate for his bronze sculpture Wicht (2006). 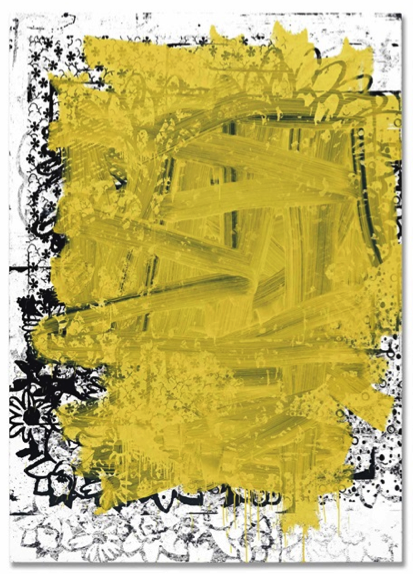 Top lot of the sale was Christopher Wool's large patterned painting Untitled (1995), which sold for £4.9 million. Christopher Wool (b. 1955), Untitled (1995). Following this sale, in which online bidders took such a prominent place, Barnebys were interested to meet Simon de Pury to discuss his relationship with art and the digital world. What is your approach to new strategies relating to the online market, and how these new strategies fit into your career? [...] The thing that interests me most in the art market is to analyse how the technological revolution can have a disruptive impact on that particular market. All markets have been transformed by the internet and the art market has been the one that has most resisted the change so far. Everything is a matter of time. I think that we can't resist indefinitely [...]. [...] The art market is like a pyramid. On top of this pyramid, there are only a small number of people willing to buy a piece of art for more than 100 000 dollars. For the top of this pyramid, the internet is not vital and old school strategies will be still privileged. At the bottom of the pyramid, there is eBay which presented an early solution to the second-hand goods lovers who want to shop art online. However for objects between $ 1000 and $ 2 million, there must be a more efficient way to sell works at these prices and the internet looks ideal for this. How do you see the evolution of the Internet in today's world? I think there is an entire segment of the art market for which the internet will become the most important part. Therefore, we will see a lot of development over the next two to three years. What do you think of the atmosphere in the saleroom versus new technologies (live auction)? Nothing is better than being in the saleroom but I think if more efforts are made on the transmission of these sales, the atmosphere of the room would be better conveyed to the person who follows the sale on iPhone, iPad, etc. The more you translate this atmosphere, the more you encourage people to attend sales from anywhere. What do you think of the decline in physical catalogues and sales? It's a matter of practice [...] and a matter of time. I think we can try to accelerate the process by providing the best information on the Internet and by making it as attractive as possible. Up to now, the catalogue has been the best sales tool. Today, it is tablets and smartphones. We must therefore rethink sales strategies to make people want to browse art through these new tools. What do you think of auction platforms such as Invaluable, the saleroom, etc.? This creates opportunities for people to use them and be interested in auction sales. As a collector, the most important thing is that if you are looking for something, you must be able to buy it anywhere. The sooner we develop an effective system to find what we seek, the better. What is your opinion regarding the transparency of the art market? I believe in the art market transparency. Ultimately, transparency benefits everyone. [...] Today, anyone who has immediate access to databases may see the list of artworks and prices. I think this immediate access to information is a good thing. So far there's probably no one who has really found the right solution to marry the physical and technological sides. You considered becoming an artist when you were young. Today, how would you define the artist's role in parallel with these new technologies? I think that new technologies open up new and great possibilities for an artist to express himself. Digital communication is a new medium for them. At the same time, there is a back to basics movement with the revival of ceramics, textiles and all these traditional practices. The new helps to reveal the old. [...] What matters is the quality and emotion that the artwork can convey. For your October sale, you display the items in a replicated art collector interior. Why is this special display an art performance in itself? When one decides to make a physical exhibition, it must be done in the best possible conditions, especially when it comes to mixing objects from different times and different places. It is good to be able to show how objects can match together.